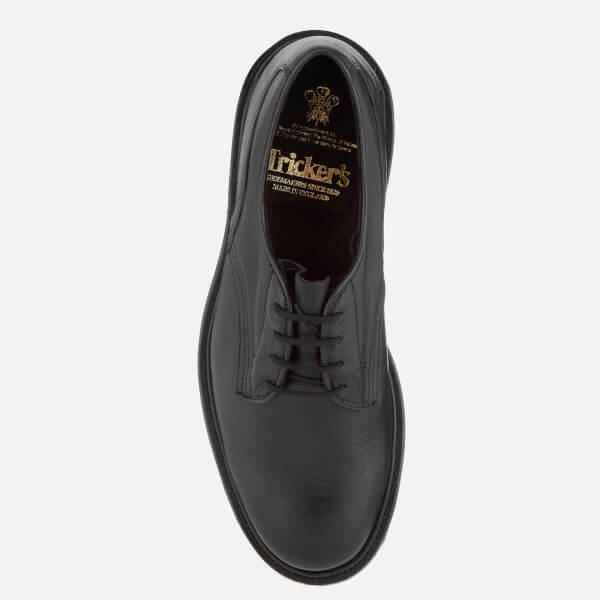 Men’s black Derby shoes from British heritage footwear brand, Tricker’s. 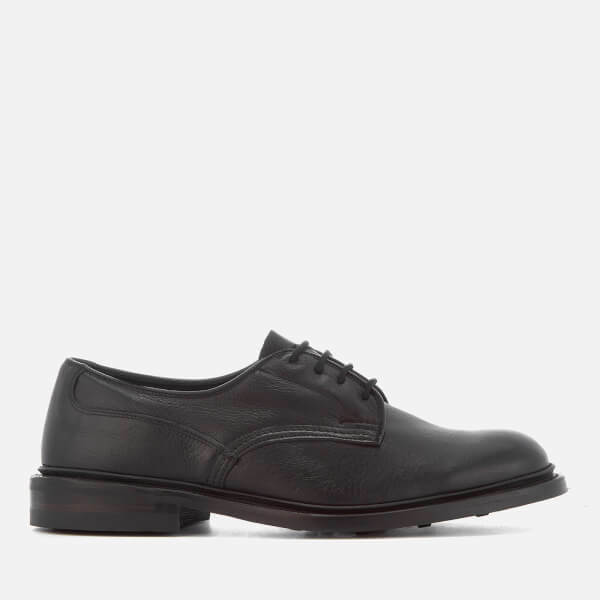 Presented in smooth leather, the ‘Woodstock’ shoes comprise a rounded toe, tonal stitching and a front lace-up fastening. 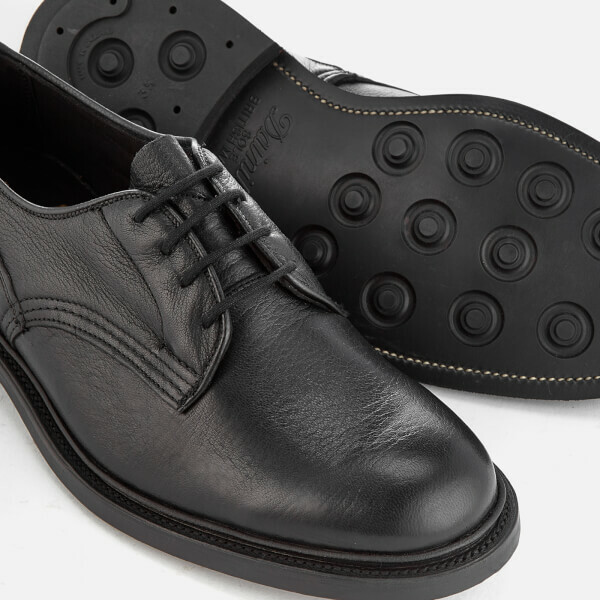 A Dainite studded rubber sole ensures maximum grip and stability. Upper: Leather. 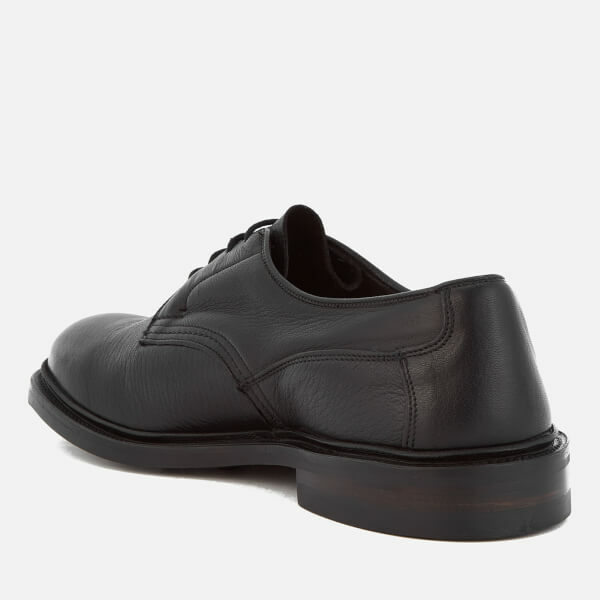 Sole: Dainite Rubber. Ordered these for my Father for Xmas, I have the boot version and you hardly know you’re wearing them. Made of soft deerskin these shoes should be a winner as my Dad has problems getting shoes to fit as has awkward feet. In black these should be a practical wardrobe staple for years to come.